In October of that year signed the tracks and the Swedish record label SUBSTREAM And then he suggested that Swedish producer Hakan Ludvigson tracks together to make that available in the world and supported by many producers and get into the top 100 major online stores. In 2010, Kasa Remixoff entered in the top 10 of The Best Track In Ukraine Techno 2010 In the version of the CTS Records & KissFm 18/01/2011 There was a release on vinyl, a track Hakan Ludvigson & Kasa Remixoff - Saharella The track was released on the label Thokadee Records, January 2011 Kasa Remixoff - DJ is fully available to the public, feeling, and skillfully delivers the material. 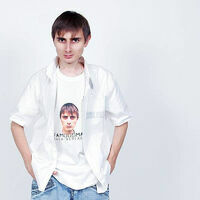 His sets and original tracks are supported and loved by thousands of fans, and many DJ'S abroad. In 2009 - 2010 Kasa Remixoff published many singles releases: Today more than 200 tracks in a place with remixes of the project presented at Kasa Remixoff 35 labels, which are scheduled to enter the sale in record stores all over the world every month. Richard Durand Feat. Ellie Lawson - Wide Awake (Kasa Remixoff Remix) And was released on a very well-known label Magik Muzik Holland In October 2011 Publish official page with a biography on a large internet store www.beatport.com Also, every month chart out the top 10 tracks from Kasa Remixoff In December 2011 Kasa Remixoff resonant entered in the top 10 THE BEST TRACK IN UKRAINE ELECTRO & BREACKS Each time more and learn more about the outside of Ukraine Kasa Remixoff and listen to tracks, loved and appreciated!